To attract diverse candidates, promote a company brand that embodies and endorses a diverse culture. Just remember to walk the walk if you’re going to talk the talk. Don’t simply use banners and ads with diverse models. Use photos and testimonies written by your own diverse workforce instead. Or use testimonies from nonprofits or international organizations that you’ve partnered with or worked with in the past. And if you don’t yet have a diverse workforce or workplace, you can make a public pledge and share your goals online and in job announcements. For instance, you could claim that within 5 years, your organization is committed to increasing its number of female employees by 20%. Also, be sure to include a statement emphasizing your organization’s overall commitment to diversity on its website and across social media outlets. In the coming years, most L&D departments will invest heavily in more soft skills training programs, including programs in communication skills and in emotional intelligence. Investing in such training programs will help you grow a more diverse and collaborative workforce and workplace. In fact, a more productive and diverse workforce and workplace depends on highly effective communicators and emotionally intelligent employees. Organizations that are committed to developing a more diverse workforce and workplace will consider endorsing servant leadership across their organizations. Servant leaders are highly self-aware, can easily empathize and motivate their employees, are able to consider each employee’s individual needs and perspective, and help disseminate inclusion and diversity across an organization. 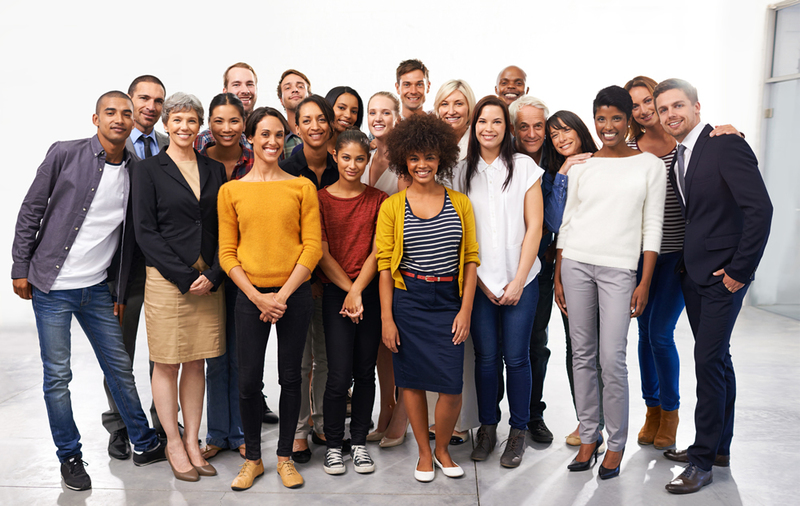 To maintain a more diverse workforce and workplace, encourage employees to form different affinity groups that meet regularly, so they can gain support inside your organization. And promote conferences and after-work events where employees from various departments and with different backgrounds can socialize and connect with one another. Also, implement technology that allows employees from across your organization to easily share information with one another. Don’t forget to offer diversity training that touches on each employee’s own unconscious biases, as well. When developing a more diverse workforce, you’ll want to consider the diverse needs of each employee you hire. Consider providing higher wages or bonuses for female and minority employees. Offer more substantial childcare options. Or offer more substantial tuition-reimbursement packages and so on. If you want to develop a more diverse workforce and workplace, consider these nine action items listed above and in yesterday’s post.